Whether you are a seasoned athlete, a stay-at-home mom, or a true weekend warrior, setting your sights on running a 5K is an achievable and rewarding goal. The second you sign up for a race you become an athlete. And once you start thinking like an athlete, your training plan and overall goal are easier to achieve. So if you are asking the question, "How exactly does an athlete think?" let me share a little insider information with you. As a former Olympic sprinter who has been married to a professional baseball player for more than 10 years, trust me when I say "athletes think differently." We approach every training session, every meal time, and every activity with our end goal in our minds! By asking ourselves the question, “How will this help me be faster, stronger and more prepared for my competition?" it ensures that we make good choices. Here are 4 questions that you should ask yourself to think like an athlete, improve your running speed and run your fastest 5K time ever. Question 1: Is this training plan the best routine for me? Training for a race is not a one-size-fits-all situation. Recognizing your own strengths and weaknesses will enable you to address the areas of your body that need more work. 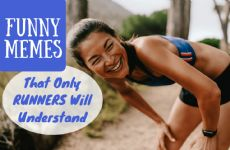 As an example, if you are constantly tight in your hamstrings and hip flexors adding extra leg stretches for runners to your plan may help you run more freely. In addition, some people can get by—even thrive—with a little extra running or a little less running than their plan dictates. Some might need more rest. Listen to your body and make the adjustments that make sense for you. Question 2: Do I understand the race and what is expected from my body? A 5K race involves using your aerobic system (moderate to high intensity) approximately 80% of the time and your anaerobic system (very high, breathless, sprint-level intensity) approximately 20% of the time. Following a training plan that trains both of these systems effectively can help you shave off a few extra minutes from your time on race day! Training your anaerobic system will give you a confidence boost too! Knowing you can “outrun” people in the final stretch toward the finish is a great feeling. Two 30-45 minute "steady state" runs at a moderate pace each week. This will enhance and build your aerobic capacity. 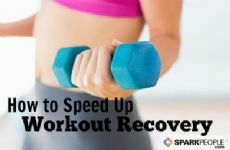 One "tempo" run each week that alternates between 5 minutes of steady-state (moderate) running followed by a 60-second anaerobic speed burst for a total of 30 minutes. This will train both your aerobic and anaerobic energy systems in the same session. One day dedicated totally to sprinting is a great addition to any program, especially if you use a hill for your sprints. 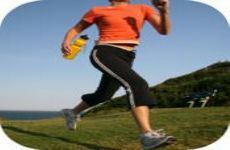 By adding in hill sprints you get the added bonus of improving your running technique; running uphill makes you focus on driving your arms and ensures you build and engage the posterior chain muscles which are essential for running faster. This will be an intense workout to train the anaerobic system, but it can also be a shorter workout than the other days. Finally one day running 1-mile repeats at a faster pace than you run on your moderately paced days will get your body used to running slightly faster over distance. After each mile, you rest and recover until your breathing is back to a resting state (about 3-5 minutes for most people). For a 5K distance completing just three or four 1-mile repeats on this day should suffice. As you get close to race day, do 1.5 mile repeats. The more you train your body to be comfortable at a fast pace the easier race day will become! Question 3: Am I fueled efficiently both before and after my training sessions? When it comes to endurance running, selecting a good fuel to power your training session and rebuild and regenerate after your workout is important. Just like a car cannot run without gas, you cannot run well on an empty tank. 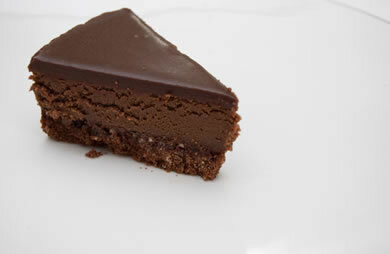 When you are preparing to run a race is not a good time to go on a restrictive diet. Make smart choices and ensure you are consuming good carbohydrates and high-quality proteins. The great thing about fueling up for a 5K race and training for one is that it is very simple and easy. Unlike running a marathon, you do not need to overload the night before with carbohydrates and fats because a 5K is so short. Carbohydrates and fats are essential energy sources for high-intensity aerobic exercise, but your body probably has sufficient fat sores to call on if needed. So focus your energy on providing quality carbohydrates before your run. I love to eat granola, toast with peanut butter or sometimes a banana and graham crackers before a run—they are all light and easy to digest. For after training, I try to feed my body the nutrients it needs to re-stock, rebuild and regenerate. Taking in protein and carbohydrate within 30 minutes after your workout ends can drastically increase the benefits you get from your workout as well as boost your energy levels. I love to drink a high-quality protein shake made with water and low fat milk after a training run. I'll occasionally add fruit such as banana and pineapple (pineapple has anti-inflammatory properties and it makes your shake taste good). On race day itself, many races are in the morning so you probably won't eat a full meal beforehand. Treat yourself to an omelet with chicken and spinach as a post-race meal; add in some whole-wheat pancakes too! Question 4: Do I have the right equipment for me? Just because your friend loves to run in Vibram shoes does not automatically mean they are good for you! Selecting equipment based on your personal needs can drastically improve your time on race day! Did you know that excessive pronation (foot instability) can slow each stride down by 0.2 seconds? It may not sound like much but when you think about how many strides you take in a 5K, 0.2 seconds can translate to a few minutes of time. My advice is to go to a specialty running store and get fitted based on your needs. Here are more tips on finding the right running shoe for you. In life we are all competitors. Everyone deserves to feel the joy of self-improvement. It doesn't matter if you are a 12-minute mile runner or a 4-minute mile pro; setting new goals and working hard to achieve them will have you smiling on the inside and running in stride. Good luck and run through life with a smile! Samantha Clayton represented England in the 2000 Sydney Olympics in both the 200-meter race and the 4×100-meter relay. Her personal records include an 11.40 in the 100-meter race and 23.02 in the 200-meter race. 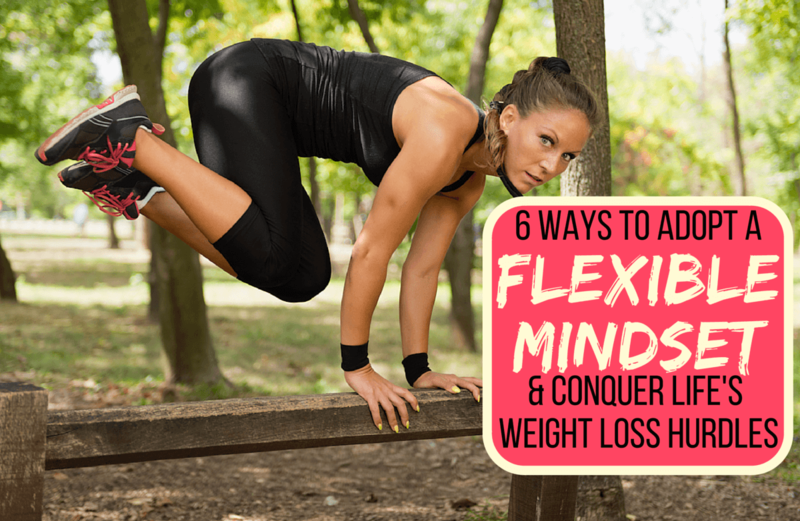 As a personal trainer, fitness model, track coach, TV spokesperson, wife and mother (who gained and lost 72 pounds after giving birth to triplets! ), she’s the fresh face of fitness for Herbalife 24Fit where she acts as fitness consultant for the 24Fit brand. Samantha is also the lead instructor for Lionsgate's “BeFit in 90,” a free 90-day YouTube workout series. Learn more about Samantha, plus find more training tips and fitness updates at samanthaclaytonfitness.com. Do you try to improve with each race? What techniques have helped you improve your speed? Thanks for the info. Saved your article and will put it to good use. Long runs (about 6 miles for me, currently) and fartleks have been helpful. Using a training plan and sticking to it - crossing off the runs as I complete them, knowing what to expect - was very helpful as I trained for my first 10K. Now I feel more comfortable with 5K's as well. I really like this information! If I can get my running anywhere close to a 5K (and when it cools down outside), I will remember her Daily training schedule. I also like the information about fuel. Runner's Knee: Exercise or Rest, Which is Best?